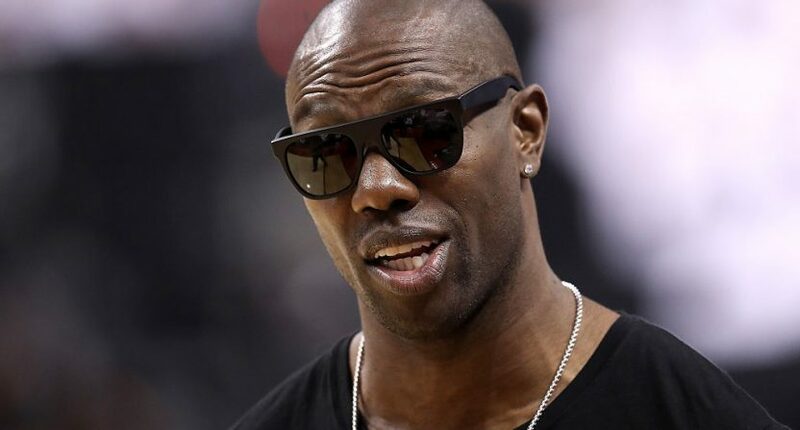 While most eyes were on Canton, OH for the Pro Football Hall of Fame induction ceremony, some eyes were on Chattanooga, TN where Terrell Owens had his own ceremony. Owens chose not to attend claiming that the sports writers who vote for the Hall of Fame do not align “with the mission and core values of the Hall of Fame.” I’m not sure if that was the actual reason T.O. didn’t go to Canton but he’s got a point. Anyway, the Hall of Fame is taking this one-time thing that potentially will rarely (if ever) happen again and is planning to make the situation way worse. According to Pro Football Talk, the Hall of Fame seemed so traumatized by T.O’s snub that they want to have a commitment from the 25 semifinalists that they will show up to the induction ceremony. And while it wasn’t clear, it seemed like those who don’t sign an agreement will not be up for induction. The Hall of Famers want advance screening of the candidates along with a commitment that they will show up. The plan, as another source put it, would consist of having the 25 semifinalists sign an agreement that they would show up if selected. It’s currently believed that he adjustment to the procedures is virtually certain to happen. I am fully aware that the NFL doesn’t technically control the Pro Football Hall of Fame but this is yet another situation where something connected to the NFL takes a situation and makes it way worse than it should be. I’m almost convinced the NFL should name George Costanza as commissioner, and then he does the opposite of whatever bright idea the league comes up with. I get the Hall of Fame felt embarrassed that they got snubbed by one of the inductees but their reaction proves T.O.’s point that it isn’t actually about the on-field play and more about the ceremony. It’s an extreme overreaction because one person, whatever his reason was, decided not to go and it seems like it won’t even be a trend anyway. But if you start putting requirements on people that they must attend, that might cause more people to consider not attending. Also, the moment someone refuses to go (if that ever happens) and doesn’t get inducted for that, I already know what direction that discussion will go in. “Well O.J. Simpson killed two people and was in jail for armed robbery but he’s still in the HOF. And __________ isn’t because he refused to attend his own induction ceremony.” You don’t even need to go as far as O.J. Simpson, just look at the inductees who have been in trouble for domestic violence or drunk driving or drugs and voters knew that about some people who still got voted in. But the thing that’ll get the HOF triggered is someone refusing to attend the induction ceremony. Do people even think anymore? Do people actually have the foresight of more than 10 minutes into the future to imagine the potential positive and negative consequences to doing something like this? I don’t even like Terrell Owens. I thought he was a prima donna then, I think he’s one now and despite setting all of that aside and believing he deserved to be a first ballot Hall of Famer, I think that he would’ve made a stronger statement if he told the writers what he thought about them to their face in Canton. But given how the Hall of Fame and the voters now want to act like little babies upset that someone took their blankie, I have no choice but to fully agree with T.O. here. He got the Hall of Fame to prove his point and despite how I personally feel about Owens, I’m backing him all the way on this. I know this’ll never happen but I’m hoping Tom Brady refuses to sign the agreement to attend his induction ceremony. Because I want to see the NFL and the Hall of Fame work themselves into an even more unwinnable situation than they are now where they either admit they’re hypocrites and induct Brady anyway or they stick to their guns and keep out the greatest quarterback and arguably the greatest football player of all-time, cheapening the Hall of Fame to such a degree that it’s no longer about honoring the best. Hey Tom, if you want a way to get back at Goodell, the NFL and these sports writer voters who trashed you and the Patriots over Deflategate, do this and call their bluff. Then you can sit back and watch the league squirm.